With sweeping views down across fields and out towards the bay of Penzance, Sparrows Nest is conveniently located for accessing some of the most beautiful parts of West Cornwall such as Lamorna Cove and Mousehole. This detached property is snuggled into the sleepy hamlet of Sheffield with the Kings Arms pub located just a mile away in the village of Paul. A handy public footpath from the back of the property will take you to the village and is just a ten minute walk. Sheffield itself is a small hamlet and just a short drive away from the popular visitor destinations of Mousehole, Penzance, Newlyn and Lamorna. In the nearby village of Paul you will find a local pub and Parish Church both worth a visit and just a mile away. The nearest shop is in Mousehole and can be reached on foot taking approximately 20 minutes or 5 minutes by car. For a wider selection of amenities, the town of Penzance is an easy ten minute drive. Penzance also benefits from having a number of leisure facilities including; Penzance Leisure Centre and Savoy Cinema should the Cornish weather decide to mis-behave! The beautiful golden sandy beaches at Porthcurno and Sennen Cove are an approximate 8 mile drive from Sparrows Nest. Sparrows Nest is set back from the road with parking for one large car at the front on a concrete and paved surface. A paved pathway leads up to the useful porch which opens into the comfortable living room. Ample easy seating is provided with attractive slate flooring and air source underfloor heating throughout the ground floor. A feature multi fuel stove compliments the desired heating levels. Off the living room is the separate dining room with seating for six people. An attractive oak staircase leads up to the bedrooms. From the dining room an external door leads out to the pretty back garden. A very generously sized and well equipped kitchen with lovely views from the window provides a super working space with ample storage. Off the kitchen is a shower room WC with shower cubicle and wash hand basin. Upstairs you will find the three carpeted and centrally heated bedrooms comprising of one king, one double and one twin bedroom. 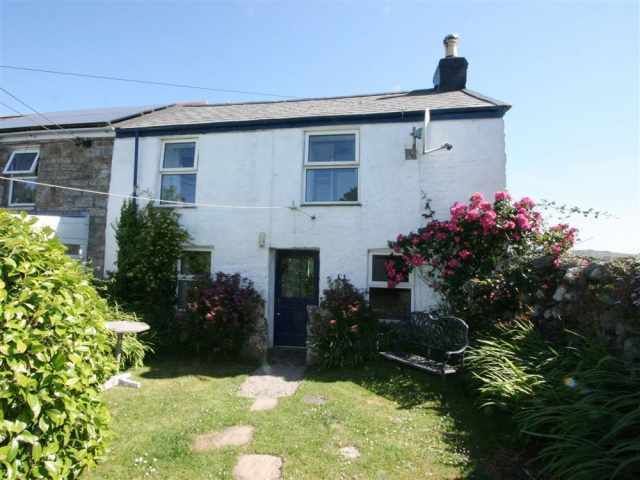 The larger of the double bedrooms and twin bedroom both have views out across the countryside and out towards the sea with the second double bedroom overlooking the front garden. Ample hanging and drawer space provided. The family bathroom WC with bath, shower over, wash hand basin and heated towel rail completes the upstairs layout. The property benefits from small pretty gardens to the front and back (front garden not fully enclosed). When enjoying a morning coffee in the back garden the view out across the neighbouring fields and out to sea is rather special.